I like this one, it’s fun. It’s called “PIG”. 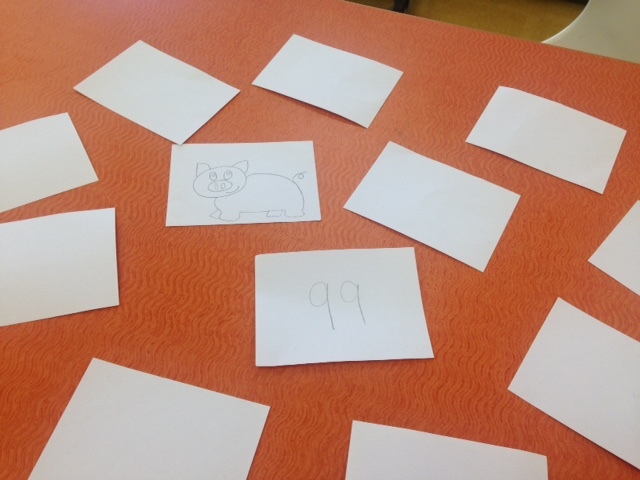 The idea is that a student can choose to turn over 1 – 3 cards but if a PIG card is chosen then the 1 – 3 cards get put back. (I keep out the used PIG cards to avoid the situation that there is only PIG cards left.) This game has shown me which children like to be risk takers! Pictured here is a game to review reading 2 digit numbers. I have another set with multiplication facts. 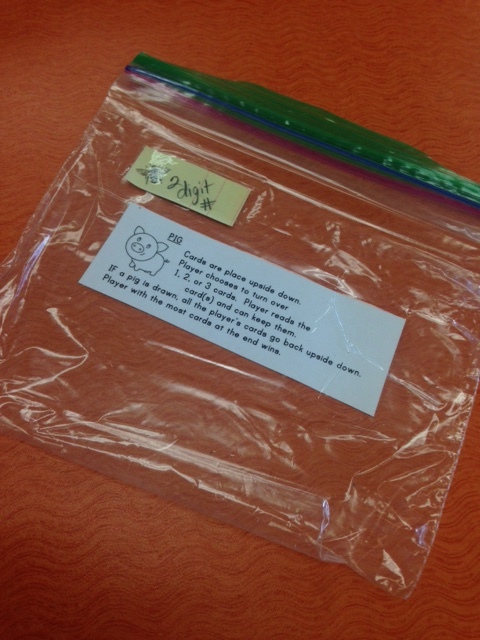 It could be used for sight words or letter identification or…. You might notice that the numbers and pig are done lightly in pencil – this is intentional – I have students that love to try and cheat! This set has about 20 cards with two digit numbers and about 6 PIG cards. Posted in Math, Reading and tagged diy review game, diy sight words game, review game. Bookmark the permalink.